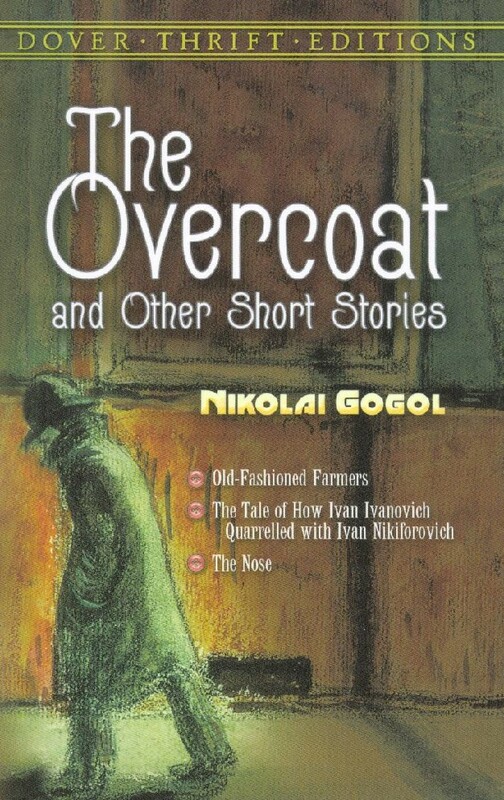 Книга "Overcoat and other short stories. Шинель и другие рассказы"
По запросу "Overcoat and Other Short Stories" найдено 3 книги. Four works by great 19th-century Russian author: "The Nose", a savage satire of Russia's incompetent bureaucrats; "Old-Fashioned Farmers", a pleasant depiction of an elderly couple living in rustic seclusion; "The Tale of How Ivan Ivanovich Quarrelled with Ivan Nikiforovich", one of Gogol’s most famous comic stories; and "The Overcoat", widely considered a masterpiece of form. Four works by great 19th-century Russian author - "The Nose," a savage satire of Russia's incompetent bureaucrats; "Old-Fashioned Farmers," a pleasant depiction of an elderly couple living in rustic seclusion; "The Tale of How Ivan Ivanovich Quarrelled with Ivan Nikiforovich," one of Gogol's most famous comic stories; and "The Overcoat," widely considered a masterpiece of form. от 327 до 461 руб. Вниманию читателей предлагается двуязычное издание трех широкоизвестных повестей Н. В. Гоголя. Книга ориентирована на англоязычных читателей интересующихся русским языком и русской классической литературой. Издание содержит параллельный текст на английском языке.